Railways Illustrated is a bimonthly British magazine. It was first published in Britain in the year 2003. Railways Illustrated is the monthly magazine devoted to British railway enthusiasts covering the modern scene. Each issue contains news, features and views in addition to reviews, events diary, charter trains, preservation, main line steam, steam galas, event reviews, nostalgia and rolling stock changes. 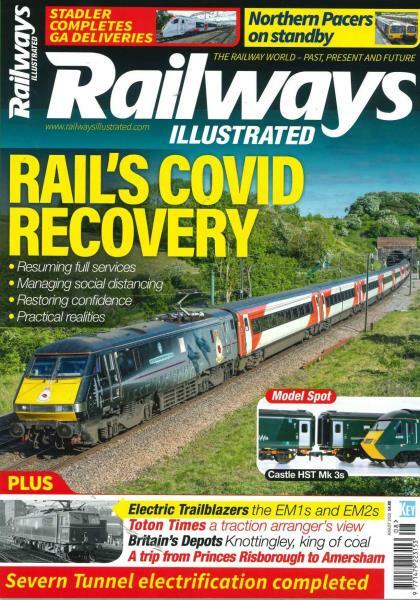 Unlike other magazines on the market, Railways Illustrated reviews events, tackles the issues affecting today’s enthusiasts, heritage and modern day railway industries.